Black and White books are printed on 50# white paper and uses inkjet technology. Standard Color uses 50# white paper and uses inkjet technology. Standard Color Heavyweight and Premium Color Heavyweight both use a thicker 70# white paper which has better page opacity. Standard Heavyweight Color uses inkjet technology. This option offers lower cost but the colors won't be as sharp or bright as a Premium Color book. 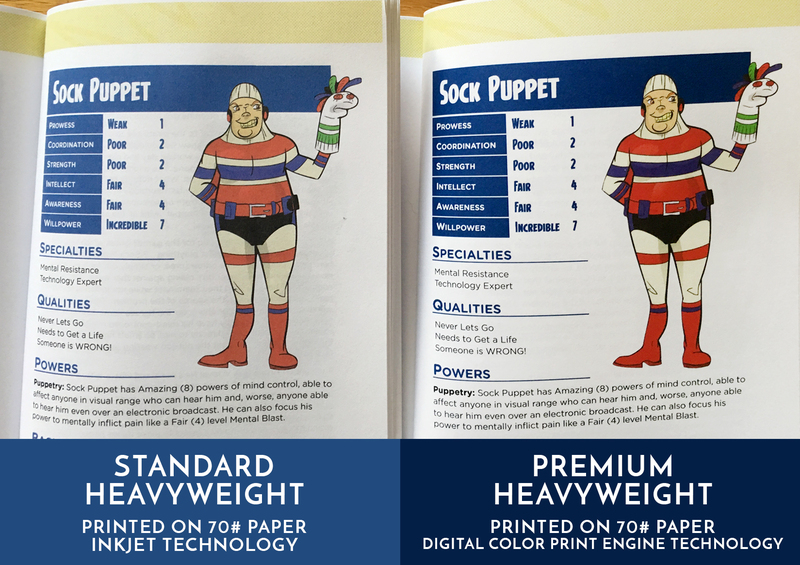 Premium Heavyweight Color uses a digital offset press. This option offers superior color quality but is more expensive to produce.